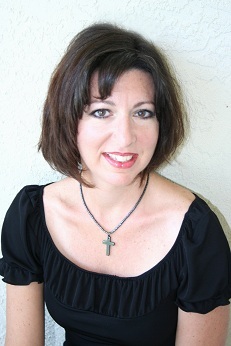 Today we have a guest review by my awesome sister-in-law Crystal! If you follow me you know that she often does reviews for me! She reviewed Halflings (Halflings #1) by Heather Burch. 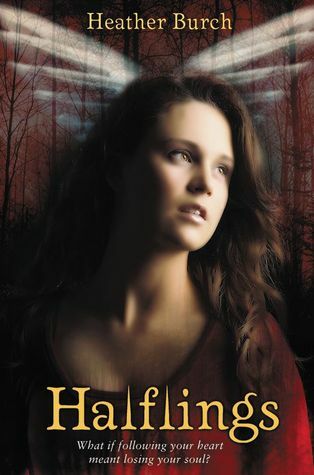 While I love a good vampire read, the theme is starting to get a little redundant, so I was very excited when Brooke (thecovercontessa.com) handed me a copy of Halflings and asked for my unbiased review. Half angels, a battle between Heaven and Hell, and invisible realms? Sounds awesome - and it is! I loved the book (and immediately devoured the 2nd book - Guardian). Action packed right from the beginning, a love triangle that will bring you to tears, first kisses to make you melt, and some good ol' good vs. evil... It's a hard to put down. So here it is: Nikki Youngblood is not your typical 17 year-old. She's a motorcycle riding, martial arts competing, daughter of antique weapons dealers. She can hold her own. Unless of course hellhounds are chasing her through the woods. In that event, a trio of super hot half-angel boys are just what a girl needs. Something big is happening, something that she can't explain, and she doesn't know what she has to do with any of it, yet she seems to be right in the middle of it. Soon it seems that evil is chasing her and Mace, Raven, and Vine are always there in her hour of need. She finds love and safety in Mace's arms, who risks being sentenced to eternal hell for loving a mortal. Knowing this, Nikki tries to distance herself from Mace. Raven takes the opportunity to appeal to Nikki's darker, more adventurous side. WIth Raven she feels free and somehow more in control of what's happening around her. Nikki finds herself in love with two very different half angles, both of who will literally burn in hell for being with her. In an effort to save them, Nikki turns to the only other place she can go - her mysterious godfather, Damon Vessler. Damon offers Nikki an escape from the events unfolding around her, but clearly her halflings do not trust him. There's something not quite right about him and the way he looks at Nikki. WiIl and the halflings try to convince Nikki to leave Damon's home and to stay with them. Both claim that only they can protect her from the evil that is after her. Nikki finds that she has to make a very important decision: Go back to Will and the halflings, fight whatever is after her, and risk Mace and Raven's souls, or stay with Damon, who offers her a safe place to hide, but who she doesn't trust? Thanks so much for stopping by today, Crystal, and giving us your great incite on this book!